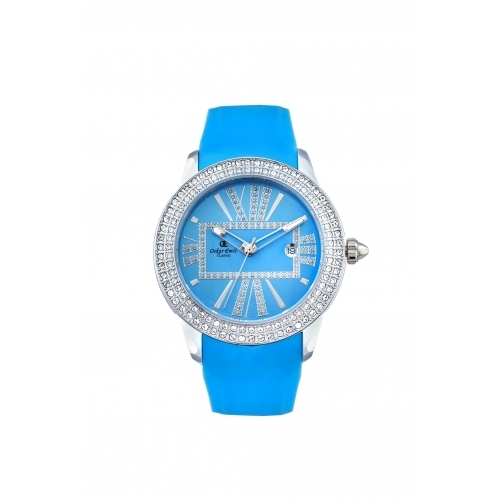 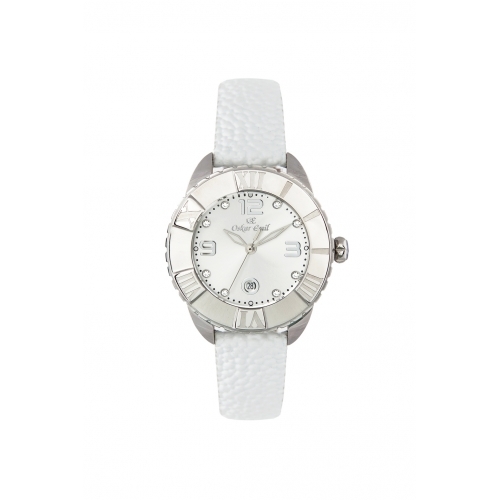 The Casablanca ladies collection of timepieces has a classic stylish look for all occasions. 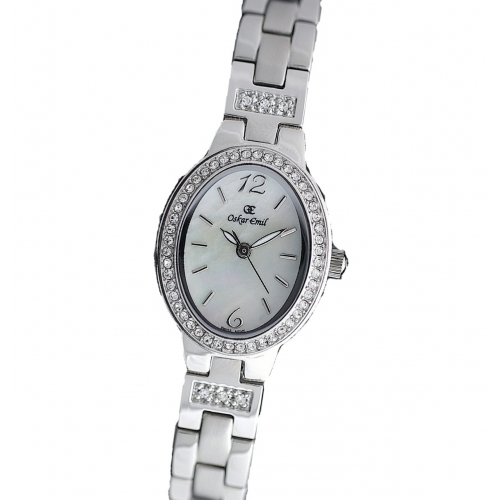 The watch is powered by a Swiss parts movement with a clear date window. 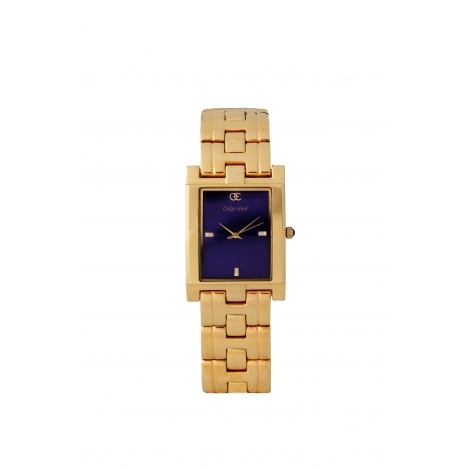 The case and bracelet are made from solid stainless steel which has been lavishly coated in IP plated gold and hand polished for a gorgeous effect. 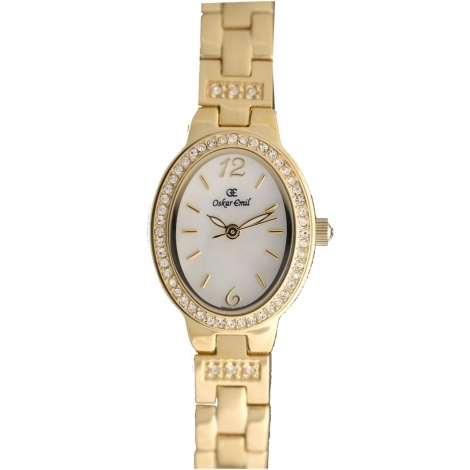 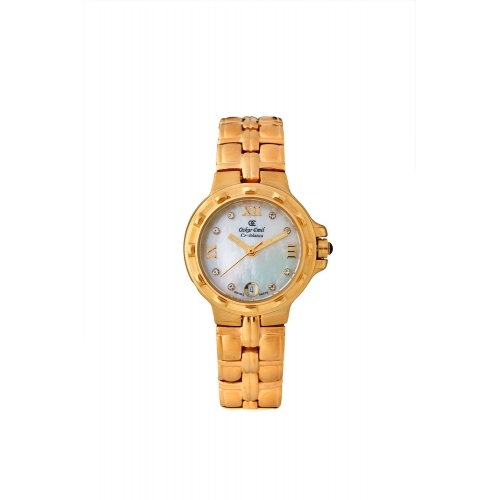 This design has a matching white mother-of-pearl dial with contrasting gold hands, indices and 7 crystals. The crown is semi enclosed and finished off with a black cabochon stone.